With the official Wimbledon app for iOS, you can now follow the tournament from anywhere (provided you have an internet connection) on your iPhone, iPod touch or iPad! “The Championships, Wimbledon” or simply “Wimbledon” is the world’s oldest tennis tournament which has been held near the All England Club in London for the past 134 years. It started in 1877 and is one of the four Grand Slam tennis tournaments besides the Australian, US and French Open. The tournament takes place every year starting in the last week of June and ending in the first two weeks of July. 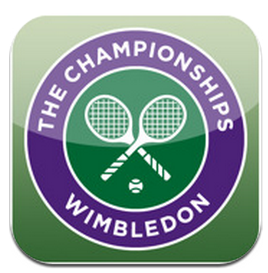 This year, Wimbledon will run from 20th June to 3rd July and you can follow the tournament by getting the recently updated Wimbledon app for iOS. 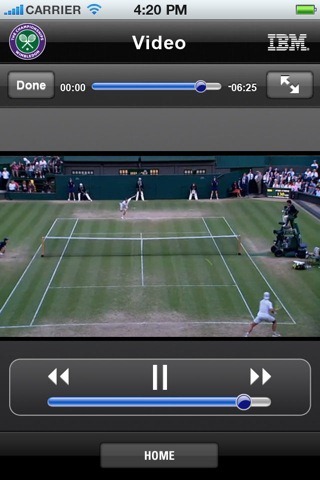 The All England Lawn Tennis Club presents the official iPhone app for Wimbledon. The Championships, 2011 run from 20th June to 3rd July. 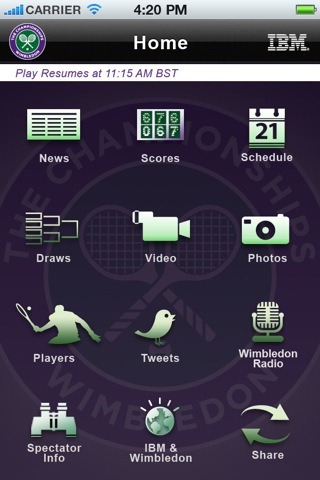 Follow all the action LIVE during the fortnight with the Wimbledon iPhone app. Spectator Guide and further Championships updates coming within the week. Scores: LIVE scoring updates and completed match results during the fortnight. News: All the latest news updates direct from The Championships. 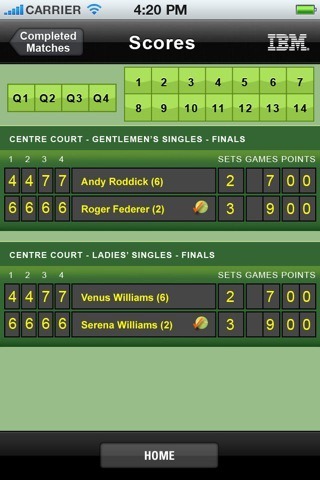 Radio Wimbledon: Three channels of LIVE coverage from Radio Wimbledon including Centre Court and Court No. 1. Schedule: The daily schedule of play. Draws: The draw brackets for the 5 main events . Video: Daily on demand video highlights. Twitter: Follow all of your favorite players as they progress through the tournament. Visitors Guide: Everything you need to know if you’re visiting Wimbledon. You’ve got live scoring updates to follow, Radio Wimbledon to listen to, a schedule to consult to see when your favorite players are playing as well as on demand video highlights for any matches you might have missed. The app is free and works on iPhone, iPod touch and iPad on iOS 4.0 or later. Grab it from the link below.